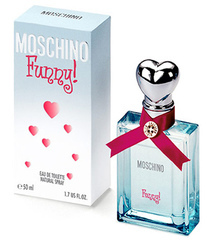 All aspects of beauty should be fun and MOSCHINO enforces that with their latest fragrance Funny! ($50/1.7oz, $65/3.4oz @ kohls.com). This fruity floral was made with young girls in mind but I think it’s just fine for us adults. Green Tea, Jasmine, Peony and Violet make up the middle notes of this fragrance and it has a base of cedar, amber and musk. So tap into your young side with this fun fragrance. I think I will bring this one Christmas shopping with me to spray on unruly shoppers! Also available in a body lotion, shower gel, deodorant.